We’re here to respond to any concerns you may have. Islamic Relief strives to be wholly accountable to all our supporters and beneficiaries in carrying out the vital work we do. That’s why we want to hear any concerns or complaints you may have to take appropriate action. An area of particular importance to us is safeguarding. We take our responsibility to protect our beneficiaries and vulnerable people against exploitation and abuse of power very seriously. Please see our safeguarding page for more information. 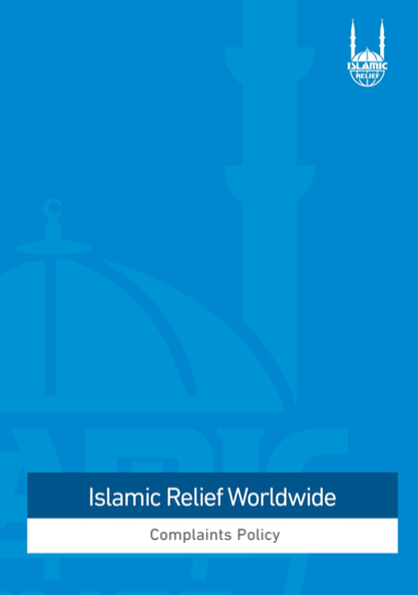 If you have any concerns – relating to safeguarding concerns or otherwise – or of you wish to make a complaint,please complete the form below or email us at: complaint@islamic-relief.org.uk. We aim to deal with all concerns and complaints as quickly as possible and with full confidentiality. We aim to contact you within 10 working days and assure you that complaints will be handled with in a fair and sensitive manner. View or download our Complaints Policy in full here.